Houghton Mifflin Harcourt, 9780471347941, 176pp. JANE STEPHENSON, R.D., C.D.E.is a registered dietitian and diabetes educator with extensive cooking experience. 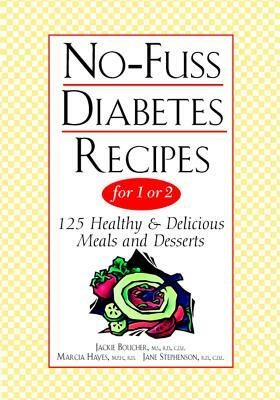 MARCIA HAYES, M.P.H., R.D.is a registered dietitian and diabetes educator with extensive cooking experience. JACKIE BOUCHER, M.S., R.D., C.D.E. is a registered dietitian and diabetes educator with extensive cooking experience.